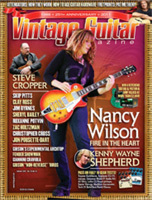 The following articles are a sampling of write-ups about Lollar Pickups in national guitar publications. 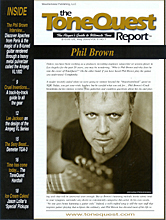 Performer Magazine Interview with Pickup Guru and Luthier Jason Lollar. 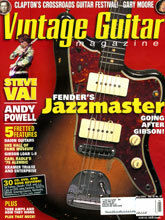 Premier Guitar Review of Lollar Single-Coil for Humbucker Set. 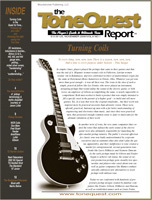 ToneQuest interview with Jason about Lollartron Pickups. 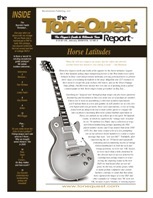 ToneQuest interview with Jason and a review of the Lollar Regals. Premier Guitar review of Lollar El Rayo pickups. In Vintage Guitar's Gear Review, Pete Prown reviews three Lollar pickups: the Lollar Regal Humbucker, '52 T and Charlie Christian models. 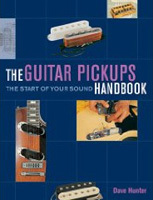 Dave Hunter's new book is called The Guitar Pickups Handbook and it includes an interview with Jason Lollar which you can read here. 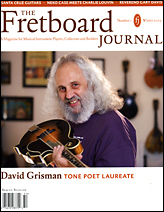 "16 tons" of information about pickups as told by Jason Lollar in this interview with 300guitars.com. "Review of Lollar Imperial Humbuckers"
Reviewer Billy Penn installs Lollar Imperial Humbucker pickups in two different guitars and weighs in on the resulting sound and performance. "Jason Lollar—La Mística de la Pastillas"
Here's one for our Spanish language customers! An interview of Jason at Tube Sound, Barcelona Spain May 2008. 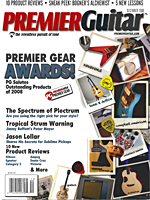 Jason talks P-90s, potting and pickup myths with Adam Moore of Premier Guitar magazine. "Lollar PickupsThe Coolest Coils Around"
In simpler times, players played the pickups that came in their guitars and that was the end of it. Hispanic women wound coils in Fullerton, Latvian women wound 'em in Kalamazoo, and less celebrated workers of undetermined origin did the same at DeArmond (Rowe Industries) in Toledo, Ohio. Whatever you got was more than good enoughit was all there was. Until fairly recently, Jason Lollar's pickups were a well-kept secret amongst the more choosy of American guitarists. You can't keep these things quiet forever, though, and now, after a long wait, Lollar pickups are now available in the UKso we've got the chance to find out what all the fuss is all about. "The Pickup Artist: The Long and Winding Road of Jason Lollar"
There isn't a whole lot of fame in pickup winding. Build a good dreadnought, and folks will borrow it for recording sessions. Take the hum out of a Fender Champ, and everyone will ask you to work on theirs. But wind a pickup on your own and you'll get a shocked look or two, perhaps a curious inquiry from a friend and, if you're lucky, maybe an oddball's order. Unless you're Jason Lollar, that is. Jason Lollar is widely considered the Moses of pickup winding. His book Basic Pickup Winding and Complete Guide to Making Your Own Pickup Winder, set off the industry's aftermarket pilgrimage to achieving better tone through better pickups. Lollar's constant goal is to wind pickups that have both character and clarity. Small wonder he is called upon to build pickups for tone gurus like Billy Gibbons, Robert Randolph and Peter Stroud. "Super-Suitable Substitutes: Lollar Pickups' replacements more than fit the bill"
As a builder, Lollar specializes in pickups for steel guitars, but the variety of choices in his pickup line is impressive. We recently gathered up a few sets for a listen, to give you, faithful reader, an inside look at this new kid on the bl... bobbin! Always conscious of our audience, we opted for sets that vintage guys most often chase when buying replacement pickups. Much like his book, Lollar's pickups are monikered such that you know what to expect. Our testers were sets dubbed Vintage Telecaster, P-90 Soap Bar Style, and the Imperial PAF humbucker. Given Phil Brown's huge and funky tone, we couldn't pick a more suitable issue in which to unveil Jason Lollar's "Special" Stratocaster pickups, and they are special indeed. How many different recipes can there be for Stratocaster pickups? Like recipes for gumbo, Italian red sauce, fine wine and small batch bourbon, it seems as if the possibilities are limited only by the creative vision of their makers. 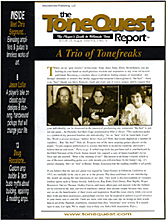 We found Jason Lollar by way of our good friend Peter Stroud, who was introduced to Jason by Pete Droge. Jason lives on an island near Seattle, where he builds exceptional guitars that are clearly unique among the more derivative small-production instruments that seem so common today. He also designs and personally winds some of the most magical pickups we have ever heard.